People are increasingly aware of environmental issues but often do not know how they can make better choices. The Latro Lamp makes the better choice easy. The Latro is unique, attractive and friendly to the environment, all at the same time! 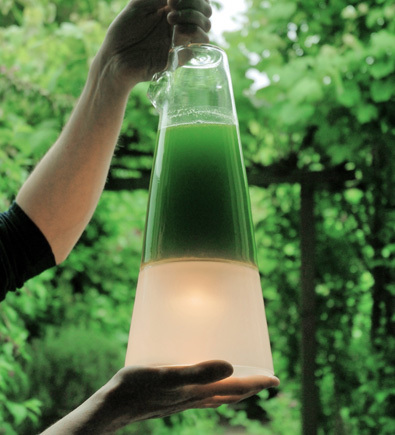 The Latro uses energy-generating algae that are confined in a unique glass container. 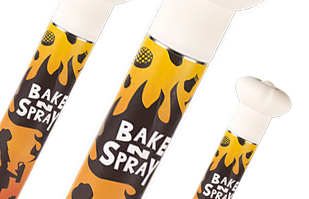 Odorless, easy and environmentally friendly. All you need to do is hang the lamp in a sunny spot so that the algae can collect energy. Blow in the bulb once a month to provide the algae with CO2, and refill with water every six months. 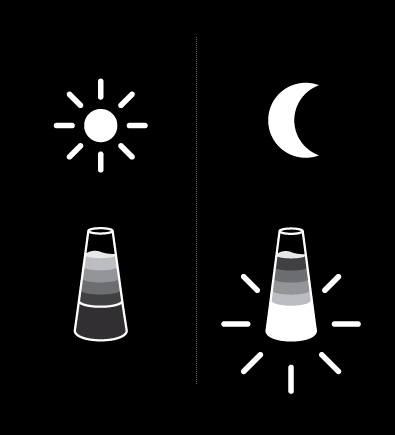 After dark, the lamp will automatically light up. Be the first to have a living lamp in the house!